WBO-Champion Aleksandr Usyk and WBC-Champion Mairis Briedis entertained the masses at an open training before their Ali Trophy semi-final clash on Saturday at the Arena Riga, Latvia. “People can look forward to a great fight between two world champions,” said Aleksandr Usyk. Usyk plowed through an ocean of Latvian and Ukrainian fans, who wanted autographs and selfies when his training was over. 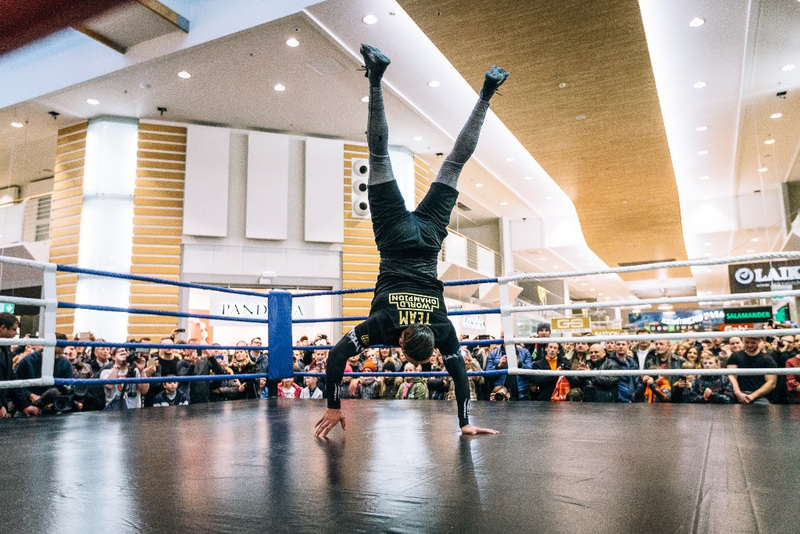 An estimated 2,000 fans showed up during the training at Domina Shopping in the Latvian capital to see the combatants in training before they clash on Saturday in a semi-final in the cruiserweight edition of the World Boxing Super Series. And the hometown hero Briedis got a roaring reception when he entered the ring. “I’m happy to see so many people here at an open workout. This proves the magnitude of Saturday’s fight,” said Briedis.